We completely understand that cats can be particularly stressed by vet visits. Being bundled into a carrier, then the car and then arriving in a strange place with lots of unusual sights and smells is a lot to take for any cat! At Lomond Veterinary Clinic, we recognise this and have made great efforts to reduce the stress of your kitty's visit. 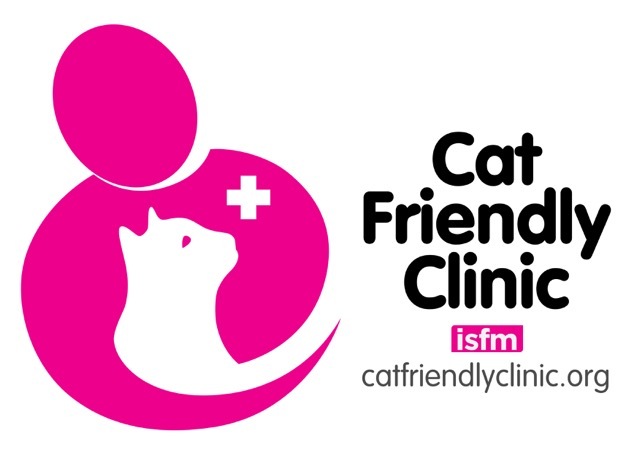 We are an accredited Silver Level Cat Friendly Clinic. We have dedicated "Cat Parking" so your cat can relax in the waiting room well out of the way of any dogs. We designed a separate cat ward for our in-patients, with large spacious kennels and comfortable bedding that allows a cat to hide, if they prefer to. We have Feliway pheromone diffusers throughout the clinic that can help to reduce anxiety in cats. Our staff have had additional training in how to handle cats to reduce their stress and lessen any fear. We are happy to provide advice on transporting your cat to the clinic. We even select medicines to be as cat friendly as possible so that every part of your cat's treatment can be as manageable as possible for you and your cat. More information on the scheme can be found by clicking here. Please feel free to phone us at the Lomond Vets clinic or email us for more information on our pet care.